Shailaja Reddy Alludu Choode Video Song. Starring Naga Chaitanya, Anu Emmanuel and Ramya Krishnan. The Movie Directed by Maruthi Dasari. 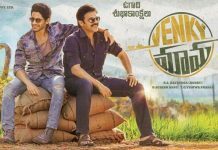 Produced by S. Naga Vamsi & PDV Prasad under Sithara Entertainments. Music composed by Gopi Sundar.